WHEN Brendan and Lisa Soraghan decided to renovate their Moonee Ponds home, they expanded upwards rather than outwards. 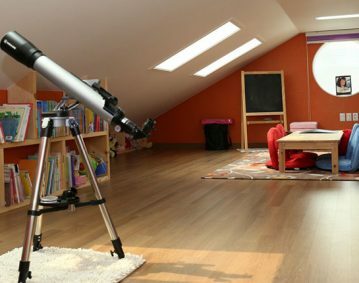 The Soraghans undertook a less than traditional attic renovation, turning their roof space into a living and sleeping area for their children Liam and Stephanie. The family now has two bedrooms, lounge, bathroom and separate toilet in a space which previously housed dusty insulation batts. “We’re very happy with the result,” Mr Soraghan said. “People think that an attic conversion is tiny or pokey but we have an expansive space with great natural light and plenty of room. Mr Soraghan said the savings in time and money attracted him to an attic conversion. Large-scale attic conversions cost about $2000 per square metre. Adding a second storey can cost double. “It was about $140,000 cheaper to convert our roof space into the number of rooms we wanted than to go through the traditional process of pulling off the entire roof and adding a second storey,” Mr Soraghan said. Attic Group senior building consultant Matt Maher said attic conversions were popular with homeowners who have limited space. Renovating your roof space is also less intrusive than traditional renovations and clients can remain in their homes without too much trouble, as the work is generally completed from the outside in. “We set up an external scaffolding system which allows us to access the roof space, so it means we don’t have to be trampling through the house,” Mr Maher said. 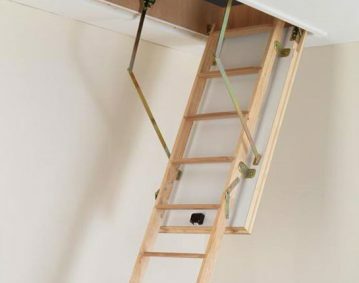 The Attic Group provides improvements from basic ladders to access your roof, to clean storage options through to designing major living areas. A basic storage space of ladder and 10 sq m of floor starts at about $2300. A “clean” storage option, where the space is sealed with plastic wrap, costs about $6000. Major additions, such as creating a bedroom in the roof space start at about $80,000. If your roof needs to be lifted, the starting price climbs to about $150,000. Older houses with steeper roof pitches are easiest to convert, although rooms can be carved out of the roof space of newer homes with less pitch and roof trusses by lifting the roof. Heritage overlay issues can also be worked around, generally by working from the back of the house, to preserve the view. “Most of our jobs involve modifying the roof line because roof pitches in Melbourne are not extremely high,” Mr Maher said. Archicentre Victoria general manager David Hallett said it was important to seek professional advice when modifying your roof, even if you are only adding storage space.